Well it all starts with word of mouth, TV, and actual shopping. There are so many “must haves”, how do you choose? Before you go buying anything, and everything, make a list. What is most important, in a handbag, other than popularity, of course. Do you like a bag, that carries everything you do, and might need, such as a “hobo” style? Maybe that’s too young for you, so you opt for an over-sized. It all depends on your basic, and fashion needs. Are you a person on the go, who does not have time to fiddle with carrying a bag? The crossover is perfect. It just hangs across you, and is readily available, when needed. What about being a modern woman in the city? Having a “mini city bag” is a must for the modern city girl. It has everything you need, which is basically, your license, some touch up makeup, credit cards, of course, and maybe a brush? 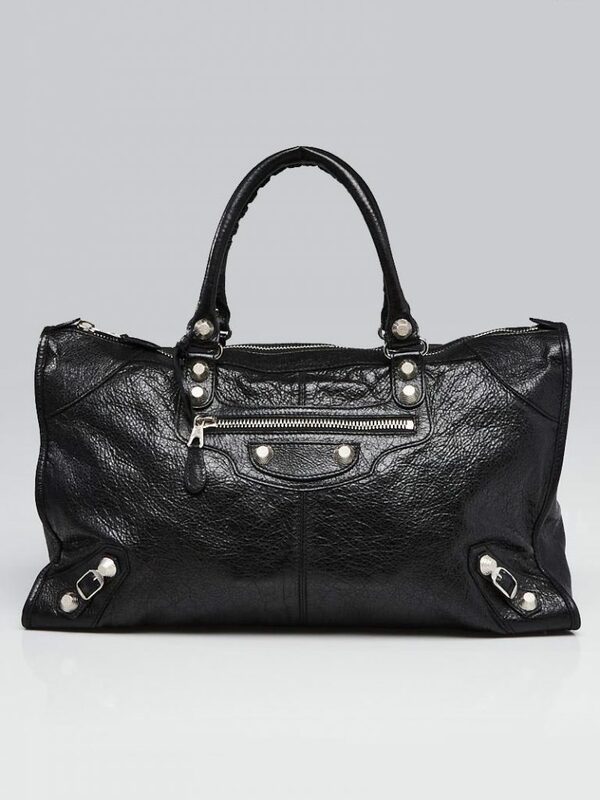 The Balenciaga Company is well known for its highly sought after bags, by high end fashionistas and collectors. 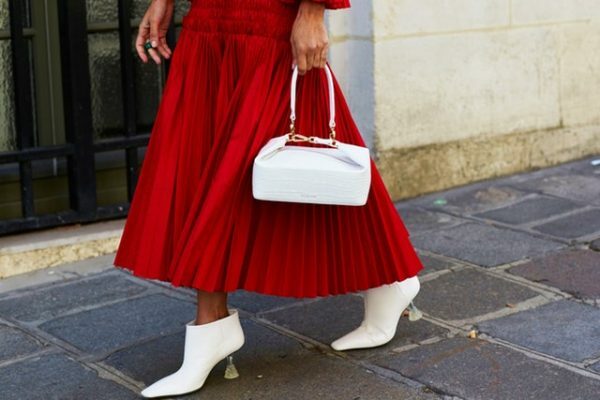 Created in 1917 by Cristóbal Balenciaga, a Spanish designer, who became famous when designing the clothing for aristocrats, quickly became a worldwide name for fashion. Today the company is best known for its’ curiously enough, motorcycle inspired handbags. 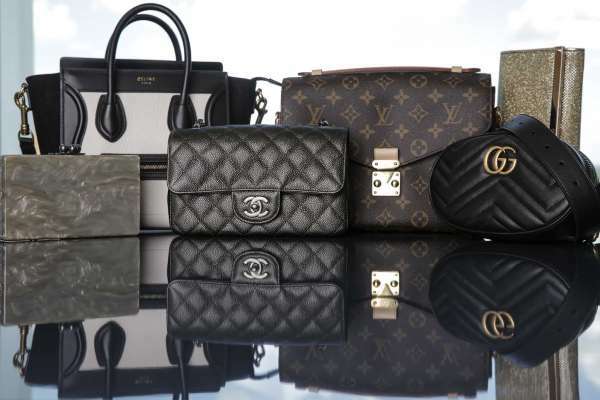 These bags are highly sought after in the stores, which are located in of course, New York, Los Angeles, Las Vegas, and more affluent areas. These bags are extremely popular, because they resemble the aura of the “dare devil” within all women. Not that many of them would ever drive, let alone, hop on the back of a bike. They still want to appear as if they, “just might”. 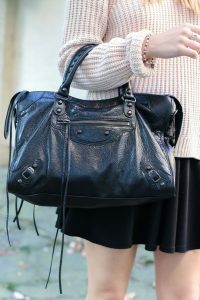 The Balenciaga Motorcycle handbag, has many different aspects. It depends upon the age of the individual, and their personal preference of style. This bag has been on the market for over 17 years since its original conception. I personally feel, the Motorcycle bag is a “for every occasions” kind of bag, making it an instant classic. 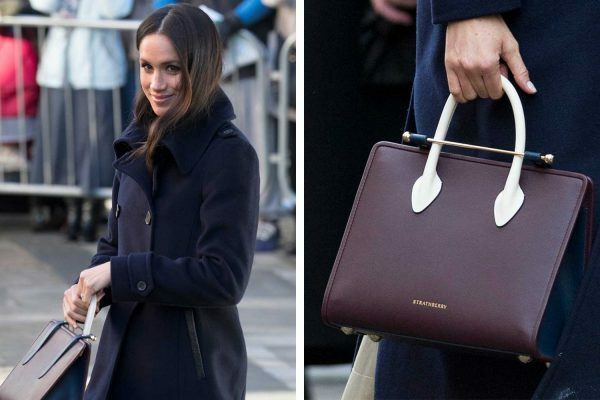 A younger woman may like the bags, because of the unique style of the bag with heavy hardware that comes on every bag. However some woman like the versatility of the bag. You can carry it like a handbag, or sling it over your shoulder, as needed. A smaller person needs a bag that fits them perfect. If you are a petite person, you know what this means. You need a bag that is lightweight, while also goes across your body at just the right length, The Motorcycle bag, coming in many beautiful colors, fits the bill. Additionally, Balenciaga releases different variations of this bag every season, changing up the colors, sizes, and leathers they use. Unfortunately, the Motorcycle bags are not at the caliber as the other handbag brands. Also, the resale values isn’t high and people are going to stand in line for hours get the new season’s bag. But never frat my dears, what was once sought after will be wanted once more. 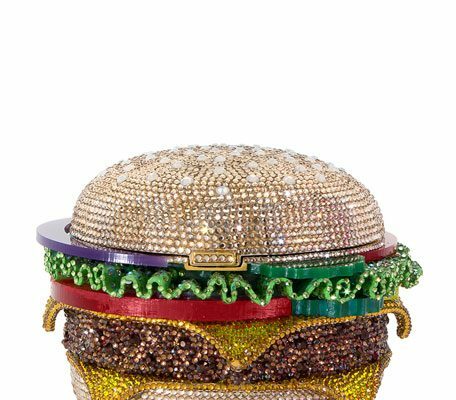 Basically saying, don’t burn your Balenciaga, store it because in the next 15 years this could be the bag of the decade. Trends, especially in fashion rinse and repeat, continuously. I would focus on collecting the Balenciaga Motorcycle bags. 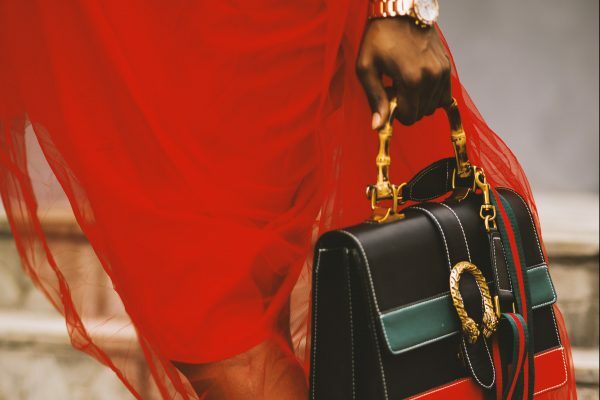 Balenciaga releases new versions of this bag every season, ensuring they are unique from season to season. They use different combinations of leathers, colors, and hardware, ensuring that no two bags from different seasons will ever be the same. I’m sure that if you are a collector of this bag, your payday is coming soon. Balenciaga now makes sneakers, currently streetwear is in high demand. Ideally, the sneakers will raise the demand for the Motorcycle bag, and like magic, dollars. The 2018 fall/spring Balenciaga Motorcycle bag’s yellow will be completely different from the 2019 fall/spring yellow, if they even release this color at all. The black bag is the only one that comes out every season, but it is cut from a different batch of leather and has a different overall appearance. They usually release limited edition hardware on the black motorcycle bag around the holidays. The exclusivity generate tremendous hype for the collectors. They usually request a very specific bag from a very specific year, best of all, they are will to pay whatever it takes to have it. Naturally, as a collector they know what it is worth, but demand drives cost, so you are very likely to get 15-20% over its actually value. if you’re shopping for a Balenciaga bag on the pre-owned /used market, it can be really confusing. City, Town, Agneau, Chèvre, Giant 12, Blackout? 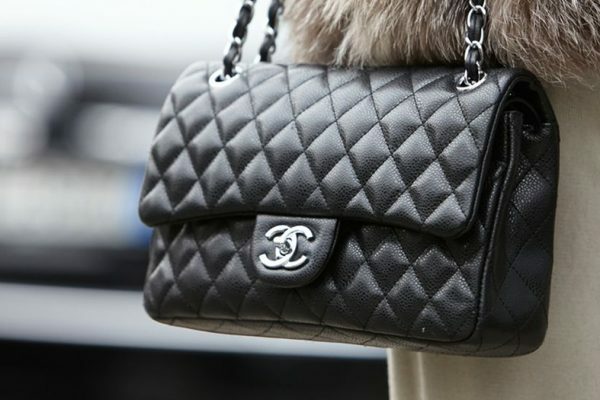 It is best to do some research first, the luxury handbag industry uses its own lingo to create brand codes and taxonomy. Word of advice, make sure you understand all of the terms used by Balenciaga before you purchase, ensure you get an authentic Balenciaga bag. You can try out the Balenciaga Motorcycle bags at Nordstrom .